Nisim Shampoo Review - Does Nisim Really Work? Nisim Shampoo Review: Does Nisim Really Work? Some Nisim shampoo reviews are good and others poor. So, does it work or not? Nisim NewHair Biofactors shampoo is one of many dedicated DHT blocker shampoos that claim to contain certain special ingredients that will help your hair grow and therein, combat hair loss (androgenetic alopecia). But, given just how tough it can be to stop hair loss, clearly any shampoo you try must contain high quality ingredients that have been proven to work. Far too many shampoo products claim to slow, stop and even reverse hair loss, only to then fall woefully short of the (empty) promises they make. So, is this one such product? Or can Nisim shampoo really regrow your hair? This page continues my review of hair loss shampoos and focuses on Nisim so you can answer that question. Nisim NewHair Biofactors Shampoo is clinically proven to work, has a money back guarantee, contains no potentially dangerous chemicals (which also means it has no side effects) and can control hair loss within a week (you'll notice a big reduction in the amount of hair shedding) as long as you use it every single day (by applying the shampoo twice each time). 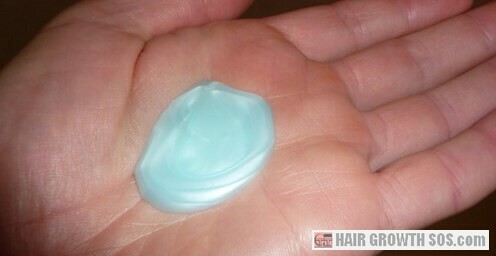 There are two types of Nisim shampoo for hair loss – one is for normal to greasy hair, and one for normal to dry hair. And there are also two topical hair and scalp extract products - one for oily hair and a gel for dry hair. 1. Nisim acts as a preventative by removing sweat, oil, dirt, etc. which, it says, can contribute to hair loss. 2. The hair stimulating herbal extracts are said to neutralize the hormone DHT and stimulate new hair growth. All shampoo and topical extract products contain the same combination of herbal extracts which aim to successfully bring back hair that’s been lost within the last 5 years. For Any Type of Hair Loss? Nisim is a DHT blocker shampoo which means that it's especially designed to treat hair loss caused by androgenetic alopecia. DHT blocker ingredients aim to suppress the enzyme 5-alpha reductase which should then reduce DHT levels. So, you might think that Nisim is not really a shampoo for hair loss of any other type. However, since many of its ingredients are beneficial to hair growth, Nisim shampoo does still aim to help most other types including hair loss following childbirth or the menopause, possibly for chemotherapy patients, and also for patchy hair loss (alopecia areata but not totalis or universalis). Each type of shampoo has 24 (normal/greasy) or 25 (normal/dry) ingredients. Three amino acids, three B complex vitamins and six herbal extracts (arnica, chestnut, geranium, ginseng, ivy and soybean seed). Cocamide MEA, cocamidopropyl betaine and SLES are in both shampoo types, and the normal to oily hair shampoo also contains SLS. All four of these substances might cause side effects. Certain, potentially harmful substances are widely used in shampoos and other cosmetic products. But, despite the many uses of these substances, they can act as irritants to some people. And whether or not you are sensitive to one or more of them and so, likely to develop itchy skin, a rash or something worse, you simply won't know until you try them. There could even be a small possible link to cancer too: cocamide MEA is related to cocamide DEA which has been classed as a potentially carcinogenic substance. Obviously, such risks all depend upon the concentration within the product. And given that people can differ in their washing frequency, this can also affect how large a dose you get. For example, your exposure to these substances will obviously be twice as much if you wash your hair every day when compared to someone else who washes their hair only every other day. Even so, you’d expect the concentration in cosmetic products to be very low, so there shouldn’t be any accumulative side effects if you use them long term. However, if you take a look at the Nisim shampoo ingredient list below, you’ll see that these chemicals are listed right up at the top, which means that their content (concentration) in these products is most likely quite high. That alone is enough to put me off! As for those who have tried Nisim shampoo for hair loss, some disappointed customers say it causes itchiness, irritation and dandruff of the scalp, and excessive dryness of the hair. Others say they liked it and it caused no side effects. Some Nisim shampoo reviews from customers state that there was, unfortunately, no noticeable reduction in their rate of hair loss whatsoever. Some even seem to suggest that Nisim shampoo made their hair loss worse! If so, then perhaps the reason why could be a process called upregulation, whereby the body reacts to DHT blockers by producing even more DHT, which can then lead to even more hair shedding. This might explain the many bad Nisim reviews I’ve read. So, messing around with your hormone balance is not necessarily a good idea. However, there is another way to tackle DHT, as you’ll see on the next page. This page 2 of 4. Read next page? Nizoral shampoo. Read previous page? Alpecin shampoo.